With Thorough Bread and Pastry just down the street we’re hardly in need of a better croissant. 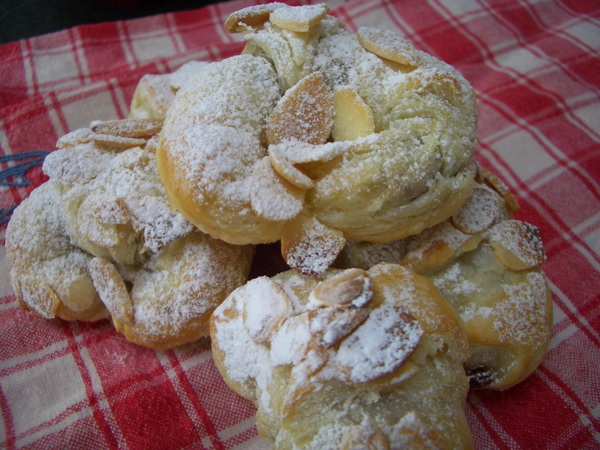 Their almond croissants, along with everything else they make, are out of this world. But walking by there every day got me thinking about homemade croissants, specifically tiny tea time croissants and how to simplify things a bit. 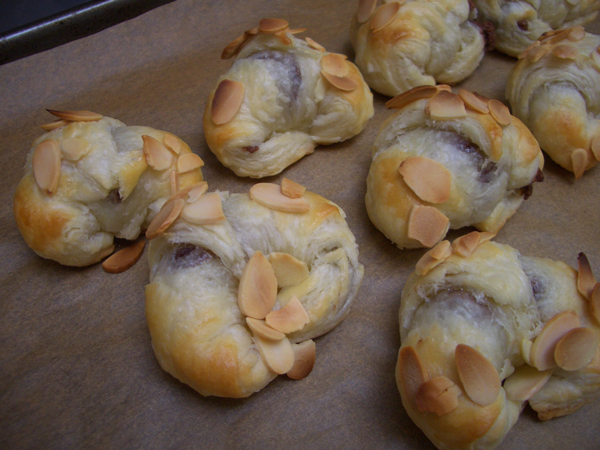 This recipe, like a lot of shortcut croissant recipes, uses puff pastry. 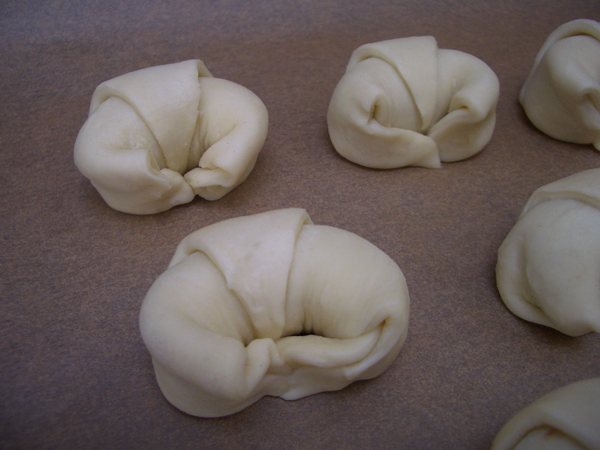 Real croissant dough includes yeast, sugar and sometimes milk, but puff paste is simply flour, butter, salt and water. Though impressive to make, both doughs are very time-consuming. I don’t know of a lot of people who make their own puff pastry anymore. I did it years ago, after my mother bought Julia Child’s cookbook Julia Child & Company, which is based on the PBS series our family was addicted to watching. Now, like most, I buy it. My husband is more of a chocolate croissant kind of guy, so I split the difference and mixed the two flavors together and we were both happy with the results. *I used Trader Joe’s puff pastry. One box contained two ten-inch-square sheets of dough. So this recipe calls for four ten inch sheets or the equivalent. 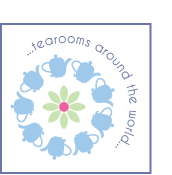 **A lot of groceries sell ground almonds, sometimes called almond meal. Whatever you buy, the only ingredient on the package should be almonds. It might have been ground with the skins on in which case it will be flecked with brown. For this recipe it doesn’t matter; either will do. You can grind your own almonds into a fine powder in the food processor or blender; just make sure to stop short of turning them into nut butter. Defrost according to the directions on the box. Keep in refrigerator until you’re ready to use. Puff pastry gets difficult to use very fast. You want it pliable but as cold as possible. 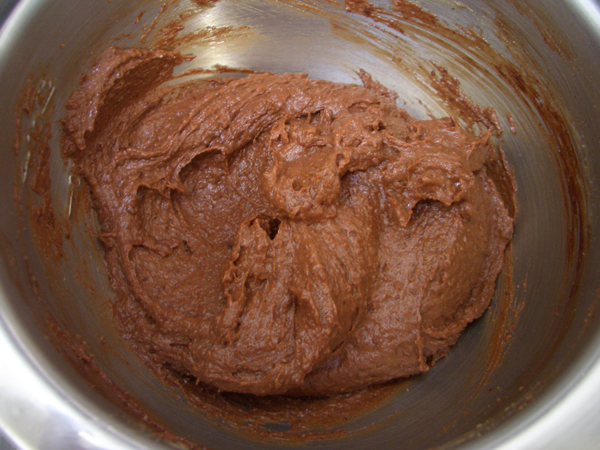 Melt the chocolate in a small saucepan or in the microwave using low heat. Take it off the heat when there is still a little unmelted chocolate and let the residual heat finish the job. Set aside to cool. This will take about 30 minutes. If you’re not going to make the rest of the filling right away, wait to do this step. Leaving the chocolate sitting around, especially in a cool room, will cause it to solidify. Cream the butter and sugar with a standing or handheld mixer until light and fluffy, about ten minutes. Add the egg, ground almonds, almond extract, and salt. Mix until well combined. 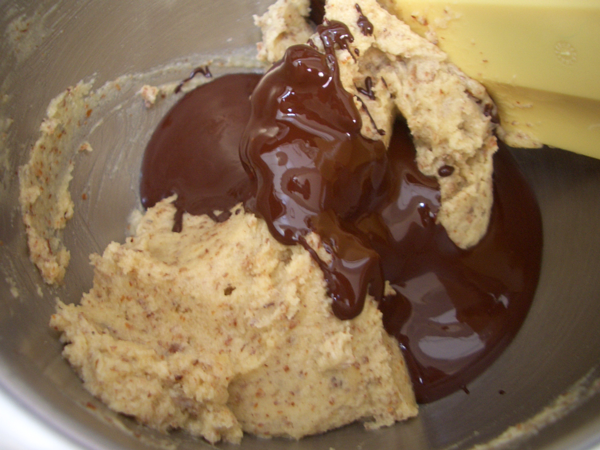 Fold in the melted chocolate, mixing until well combined. 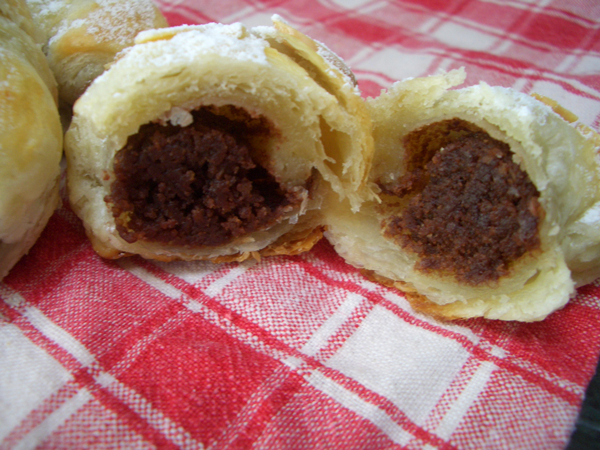 Refrigerate the filling for at least one hour. 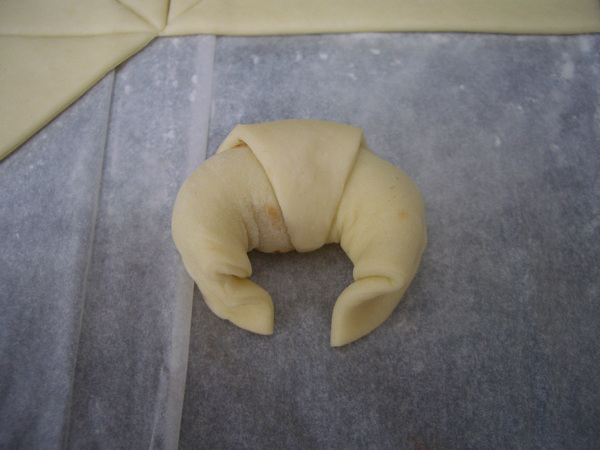 Remove the puff pastry from the wrappings and unroll. 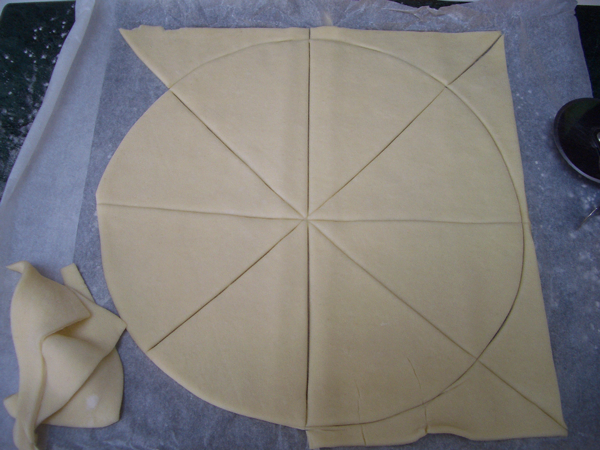 The dough needs to be cut into long triangles. 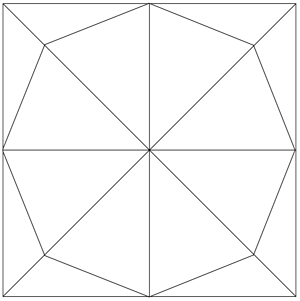 You can either do what I did, and divide the dough into eight pieces and even up the edges with a ten-inch (or so) baking pan, or you can lose a little less dough by cutting it into an octagon. 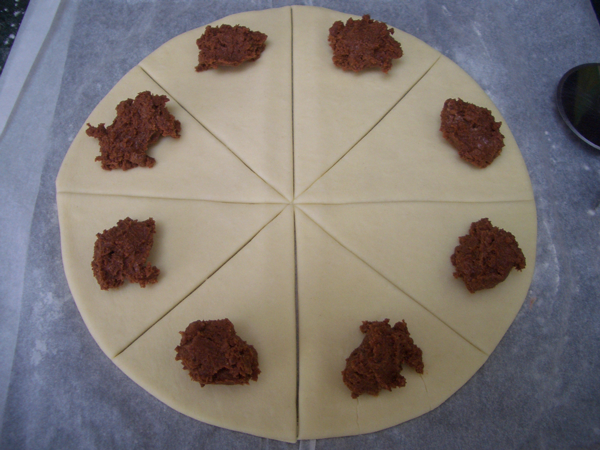 Add about a half teaspoon of filling to the wide end of each triangle. 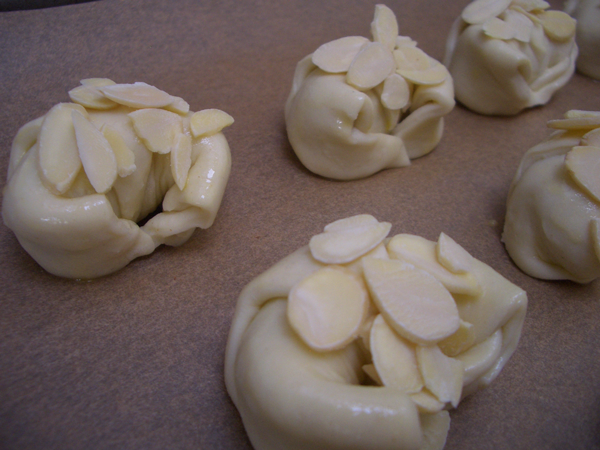 Starting at the wide end with the filling, tightly roll the dough to the other end. Brush with egg wash and sprinkle with sliced almonds. Bake at 400° F (205° C) for 12-15 minutes. Sift powdered sugar over the tops and serve warm or at room temperature. These can be made in advance and frozen. Bake frozen, don’t thaw.